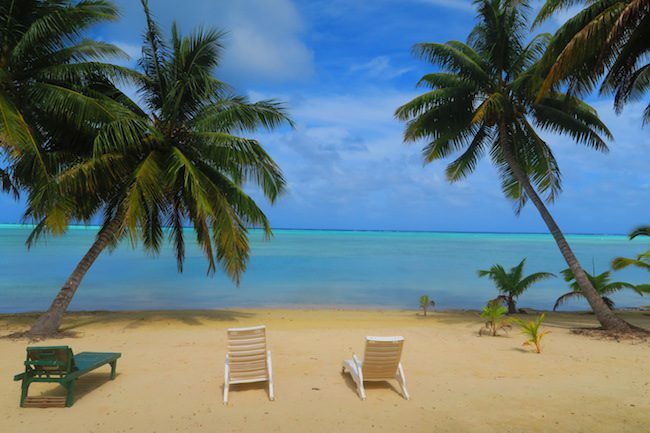 Aitutaki is the second most visited island in the Cook Islands chain. 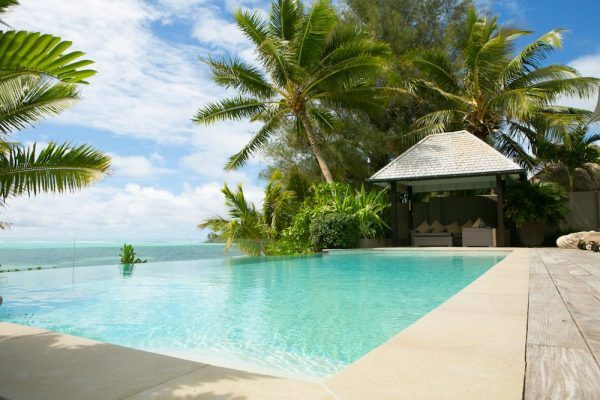 Home to only about 2,000 lucky residents, the main draw to this sleepy island is its magnificent lagoon. 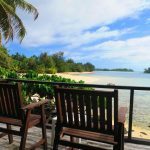 I spent a week in Aitutaki while backpacking in the South Pacific, with 3 nights in Rino’s Motel. It was one of my favorite stays throughout the trip. 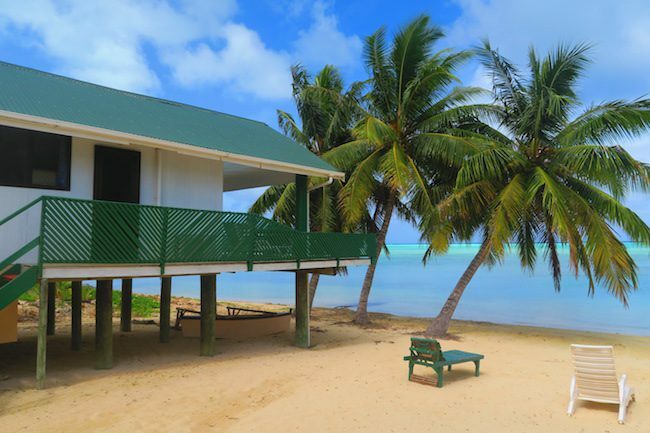 Here’s a full review of Rino’s Motel in Aitutaki. 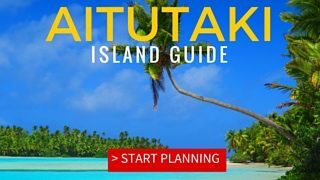 Traveling to Aitutaki? 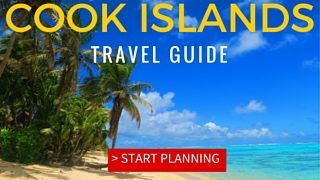 Here are the top things to do in the prettiest of the Cook Islands! 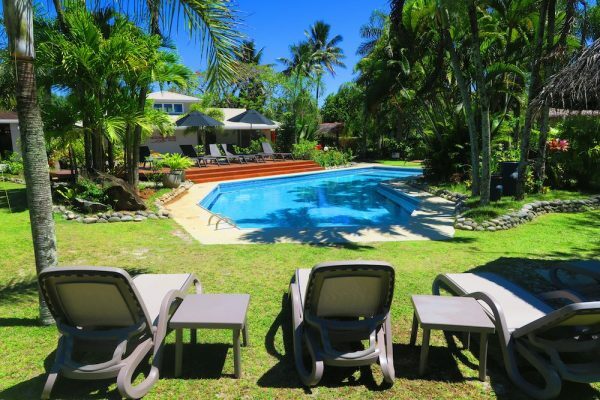 Optimally located, Rino’s is just a 10-15 minute walk from the town of Arutanga – striking a good balance between seclusion and close proximity to ‘the action’. 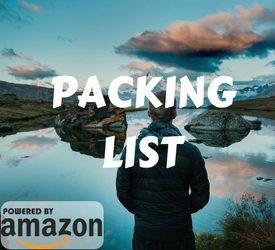 In town, you’ll find a post office, ATM, internet cafe, grocery shops and a small market to name just a few. 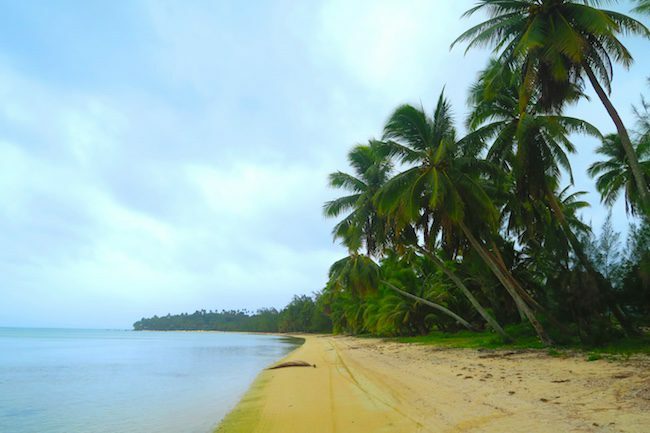 O’otu beach is just a 15 minute scooter ride and the motel itself sits on a lovely stretch of beach, that like all beaches on this side of the island is not that great for swimming, but perfect for long strolls and stargazing. Rino’s will pick you up at the airport with a huge flower necklace and make sure you’re there for your flight back to Rarotonga ($10 pp). This family owned business has an interesting story. 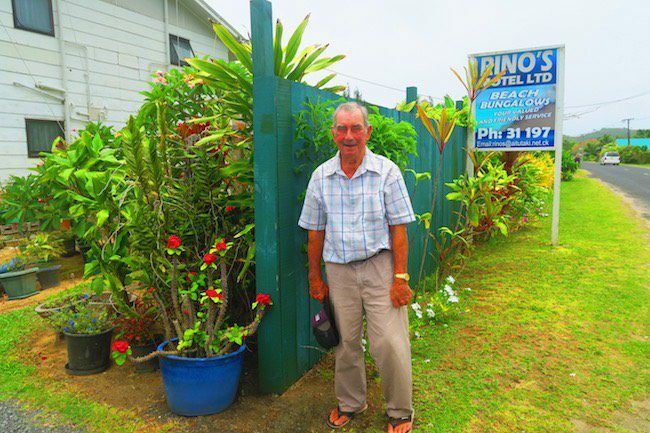 Rino George is a Cook Islander, but his great grandfather was a Norwegian whaler who’s boat just happened to break down off the coast of Aitutaki. Rino traveled around the world as part of his work, but his dream was always to come home and fulfill his retirement dream by opening a hotel. In 1989, he made his dream a reality, and he hasn’t looked back since. 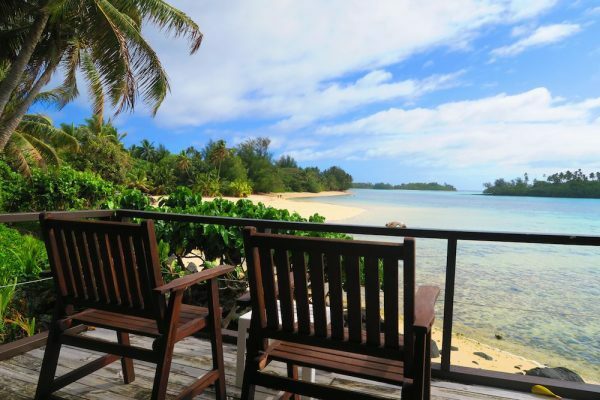 With a warm family hospitality, guests call this place home and often come back on their next visits to Aitutaki. These are the original units, simpler and likely the reason Rino’s dubbed the place a motel. They can comfortably sleep three adults, equipped with a fan and fitted with an outdoor deck. 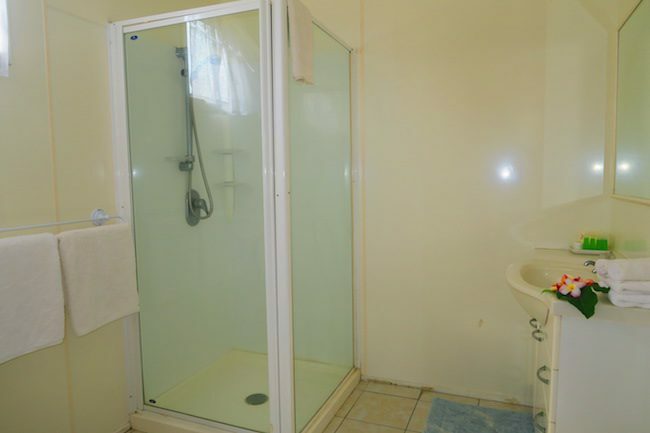 Obviously facing the lagoon, these units are slightly more spacious. 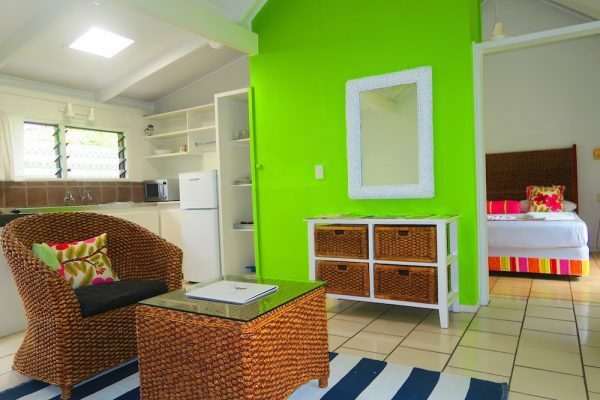 In addition to the layout of the garden rooms, units are also furnished with a sofa and a dining area. 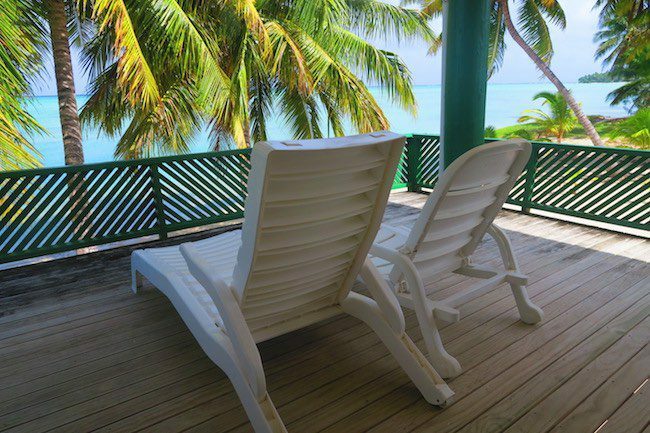 Out on the deck, you’ll find tables, chairs and a daybed for chilling if there’s a breeze. The newest units at Rino’s these charming raised bungalows are right on the lagoon. Equipped with a large kitchen and a king size bed, there’s even air conditioning to cool you off and a TV/DVD in case you’re super bored. The outside deck is huge and perfect for having dinner under the stars. 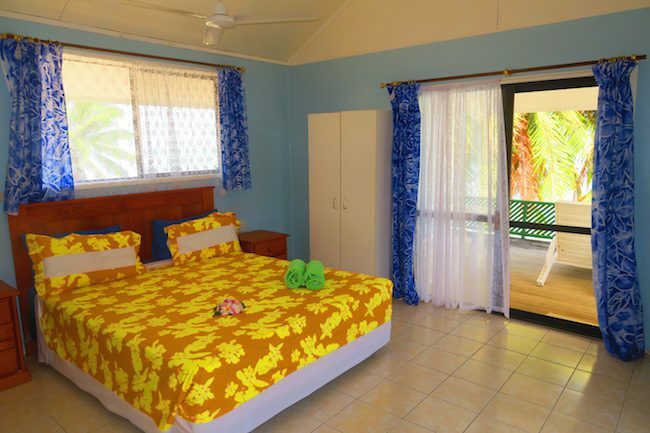 Note that the beach bungalows have only a king size bed and not suitable for children. 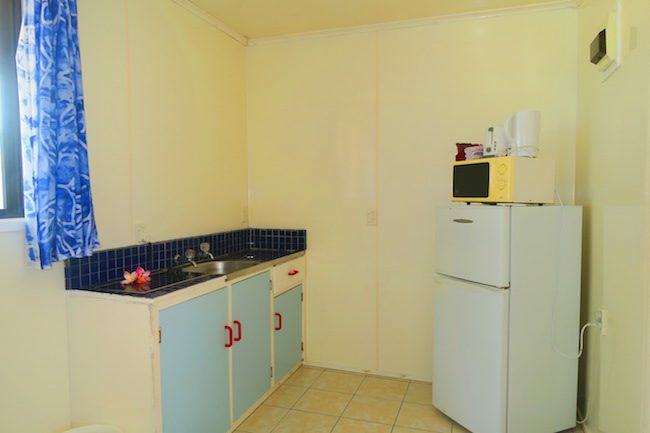 I personally stayed in this unit and had slept like a baby. Ask for unit #9! 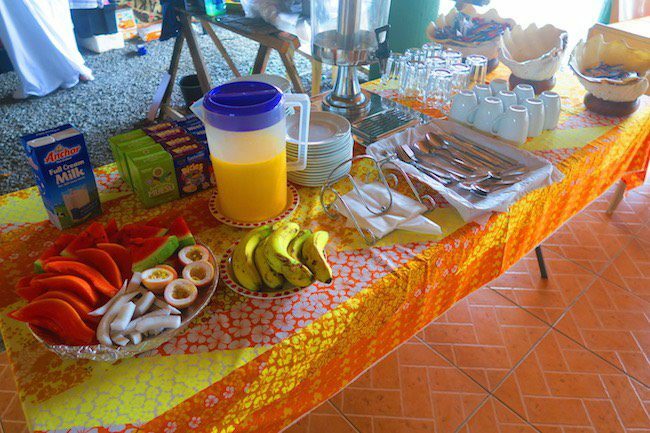 A free breakfast is served each morning either in the main house or on the beach, perfect for starting out your day. You might even be able to connect to a wifi hotspot if the signal coming from the store across the road is strong enough. Free drinking water is provided, and you can get your laundry done for free if you bring your own detergent ($10 if not). 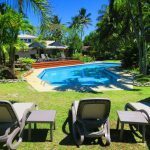 To help you get around Aitutaki, Rino’s rents out scooters, bicycles and cars at the best rates I’ve found on the island. 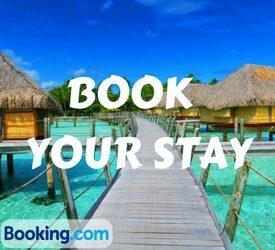 The family will also help you book tours and even weddings on Honeymoon Island. 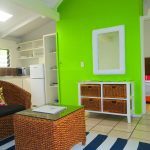 Rino’s is a popular choice with families, groups and couples seeking a simple yet comfortable place to stay. 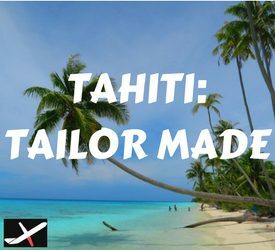 They get a lot of returning visitors and even lots of kitesurfers who take advantage of the close proximity to the prime surfing spots. If you’re a large group, inquire about special rates and Rino’s larger apartments further down the main road. 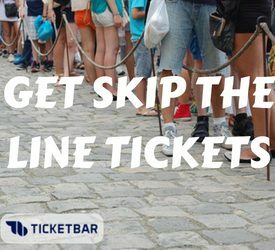 Bottom line: great value for money, book here and say hi to Rino for me!